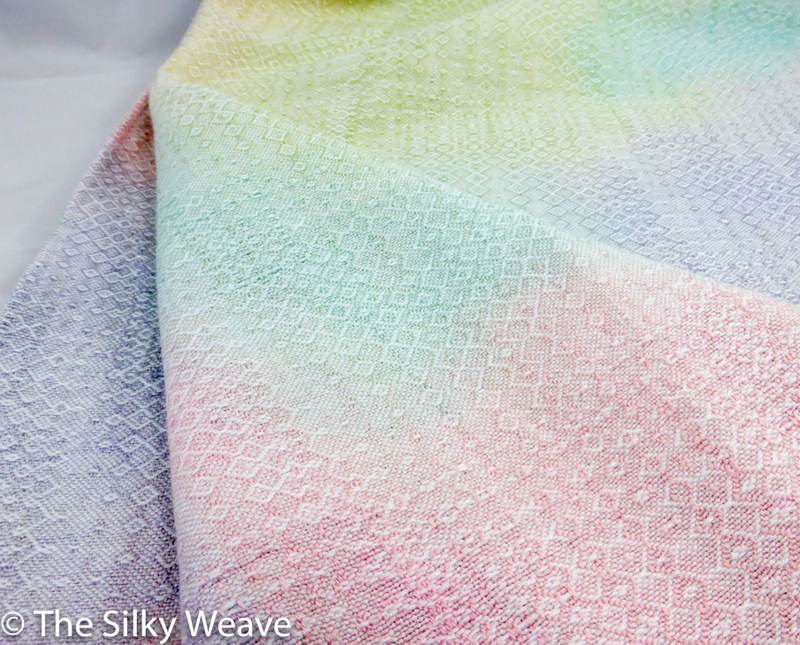 This is one of the wraps woven white-on-white, and then hand-painted. 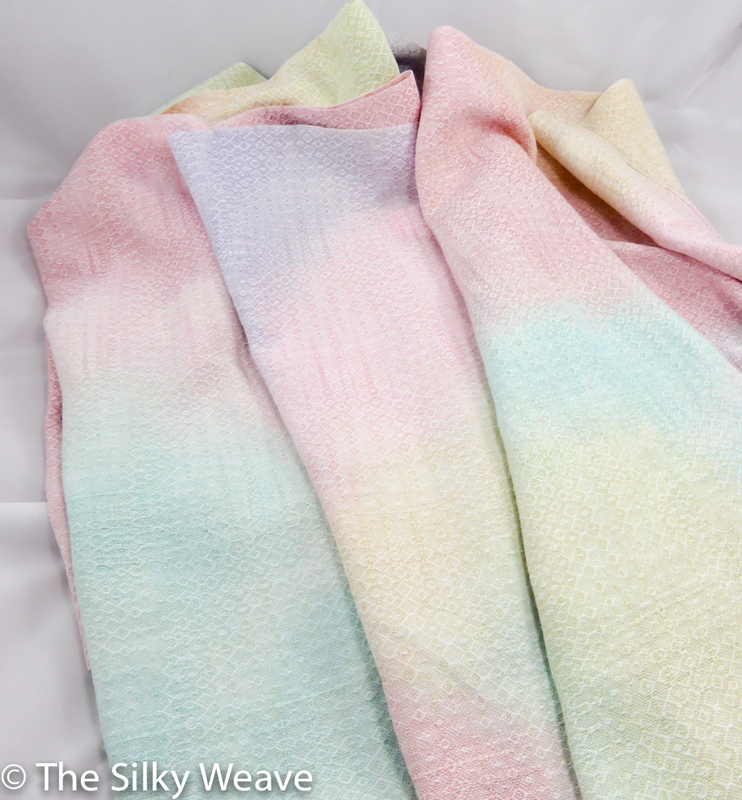 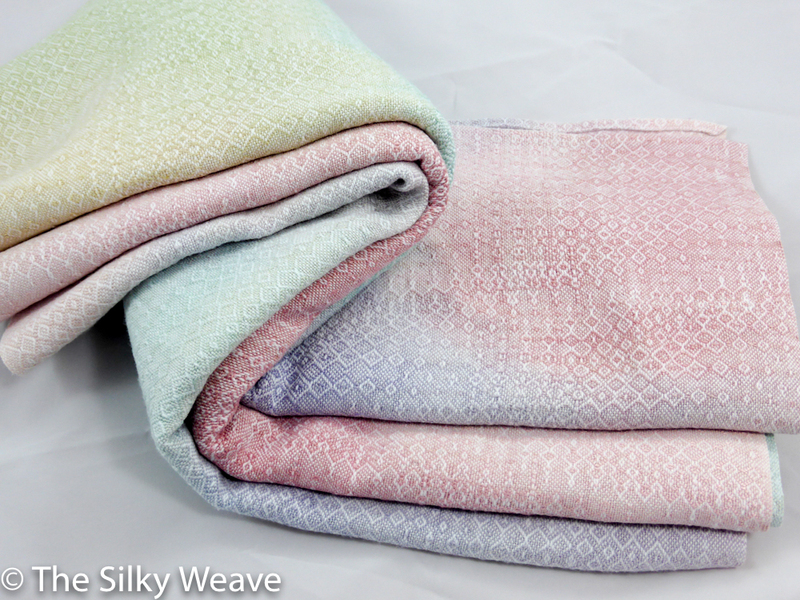 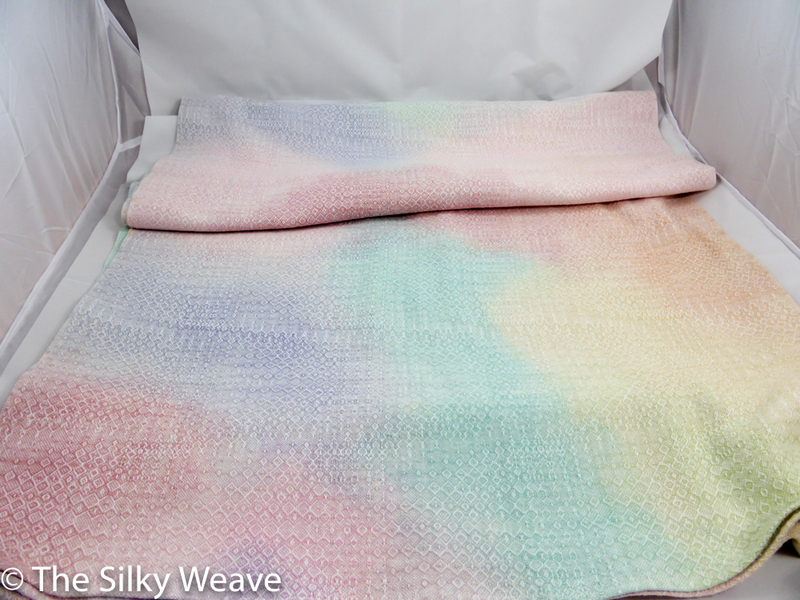 The weft is SeaSilk, a blend of silk and Seacell, which, in turn, is a blend of lyocell and algae (like in seaweeds). 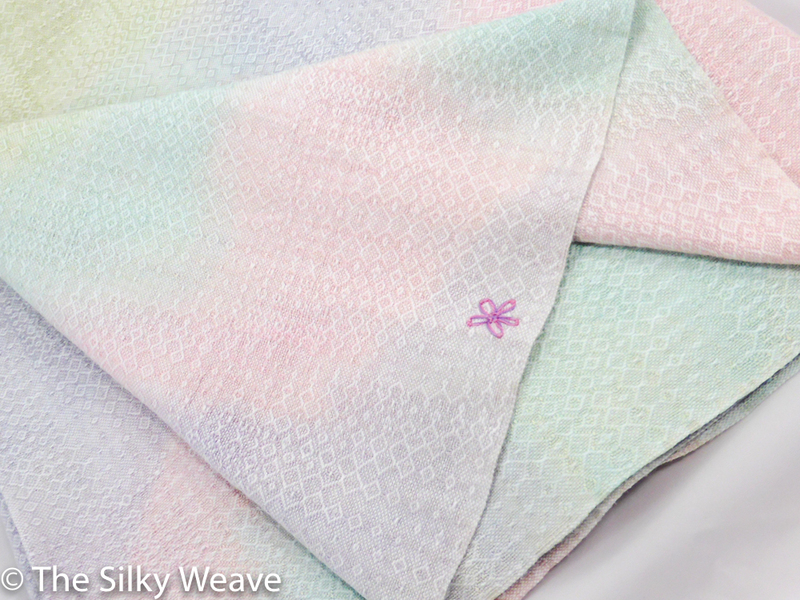 The algae part, according to manufacturer, has anti-bacterial and healing properties. 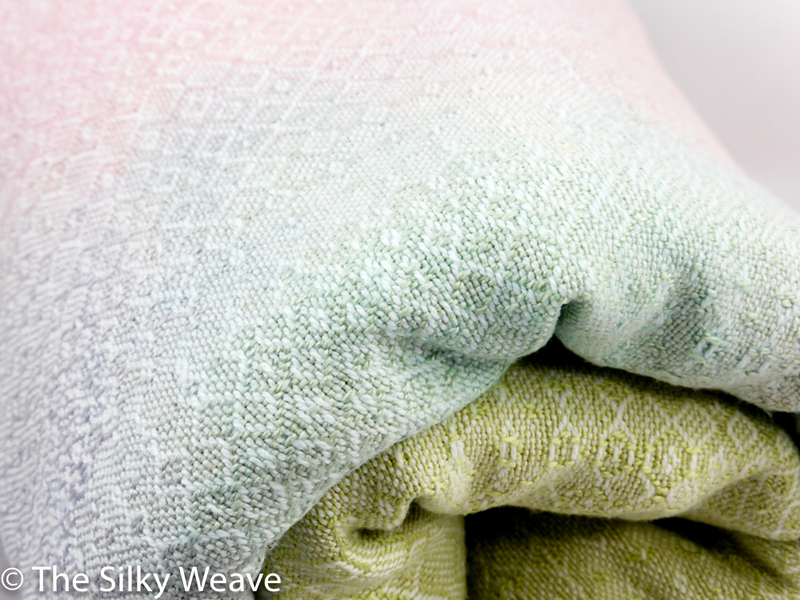 And SeaSilk is soft and light – all the reasons to have it in a baby wrap. 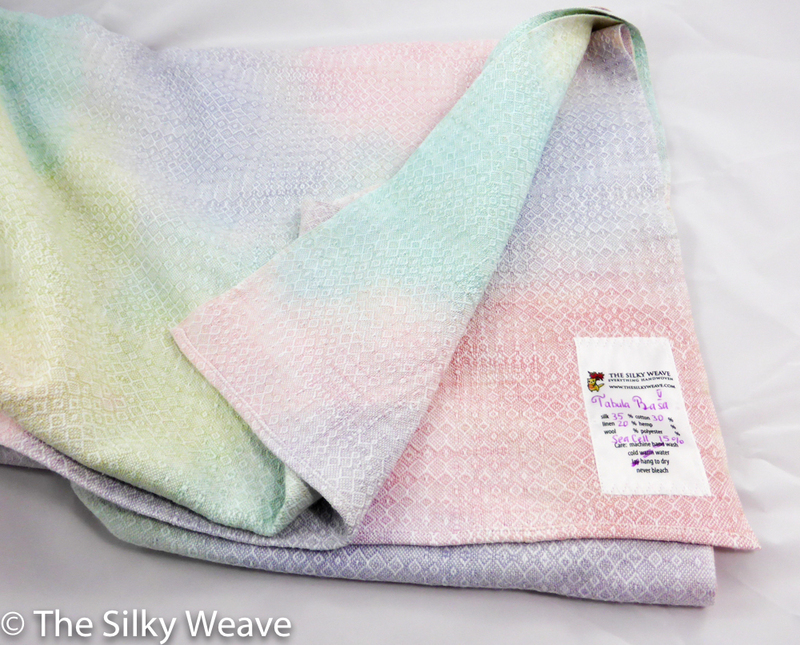 With the cottolin warp and plenty of plain weave embed in the twill weave pattern, the wrap feels feather- light, with 277 GSM.